This organic soil amendment is blended with 15% composted chicken manure for more lush, full plant growth. 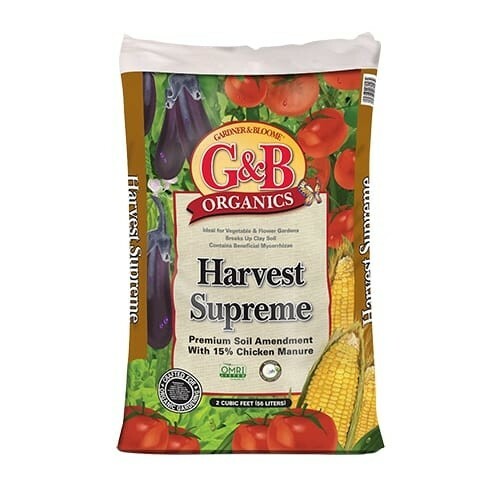 Mix G&B Organics Harvest Supreme with your native soil to grow vegetable and flowers to their maximum potential. With added beneficial mycorrhizae.